We have already shown you how to use the Refresh and Reset features in Windows 8, now we are back to show you how you can create a custom refresh image. 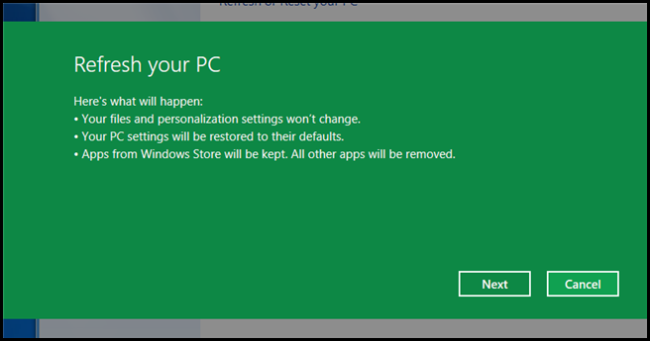 This means next time you refresh your Windows 8 PC, you can use a custom image instead of the one that shipped with your PC. When you refresh your PC, all your files as well as Metro applications that you downloaded from the Windows store are kept. This is great, however, all your non-metro applications and PC settings are removed. If you are like me and have a lot of non-metro apps this can be very annoying, but you can fix this by creating a refresh image that already has your apps installed and your settings tweaked. 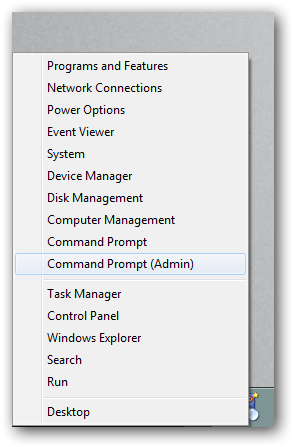 Right-click the bottom left corner of your screen and select Command Prompt (Admin) from the context menu. 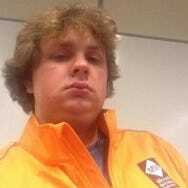 To create a custom refresh image we use the recimg.exe utility. When you create an image using the /createimage parameter, the image you create is automatically set as the default refresh image. If you have multiple refresh images you can choose the active image by using the /setcurrent parameter. You can also use the /showcurrent parameter to show the active image. That’s all there is to it, now you just need to Refresh your PC.